Join the discussion on our forums! Come discuss Shadow Essence over in our dedicated Shadow Essence discussion topic. This was just a bad design idea, it enables cancerous Priest revive decks too much. At very least the summon should be 1/1 to gear it towards silence decks more. 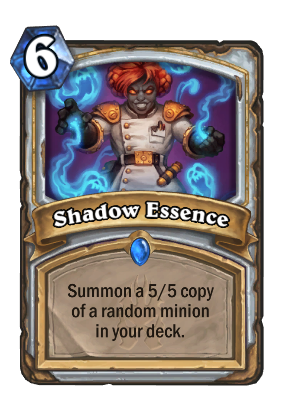 Big Priest would be a lot stronger if this summoned full stats - the only reason you would want multiple copies of a minion in your deck is if you were a combo deck looking for consistency against transform effects. 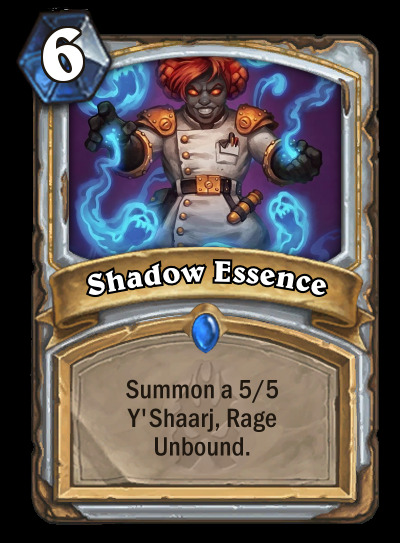 If you just look at existing Priest cards, this is good with Northshire Cleric, Crystalline Oracle, Radiant Elemental, Mana Geode, Tortollan Shellraiser, Shifting Shade, Priest of the Feast, Lyra the Sunshard and Prophet Velen. 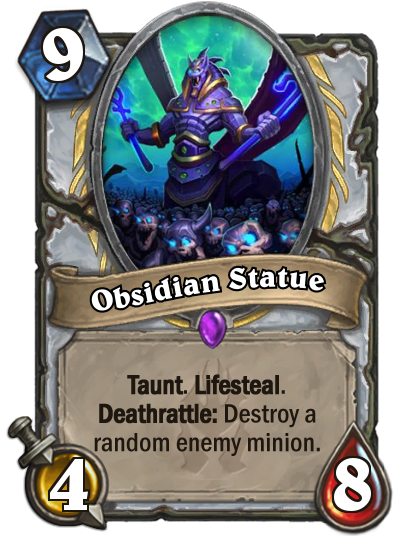 Now you can add Shadow Ascendant, Acolyte of Agony and Obsidian Statue! Could we be on the verge of a minion-heavy non-dragon Priest? So many expensive spells for priest this expansion. Yea, like many perople said before, Lyra is getting softly nerfed. Still this spell doesn't look bad. Might see some use with deahtrattles. Guys these 5-6 mana spells are nerf to Lyra the Sunshard! Not really... no cards are rotating out this expansion, as far as I can tell. So you'll still have access to all of the good old 2-3 mana spells. It is harder to get on a roll when Lyra hands you expensive spells. Is the art supposed to be a lore figure in WoW? I can't think of any Dark Iron Dwarves that dress that way.